On the northern hemisphere it's spring again and time for outdoor (music)festivals. 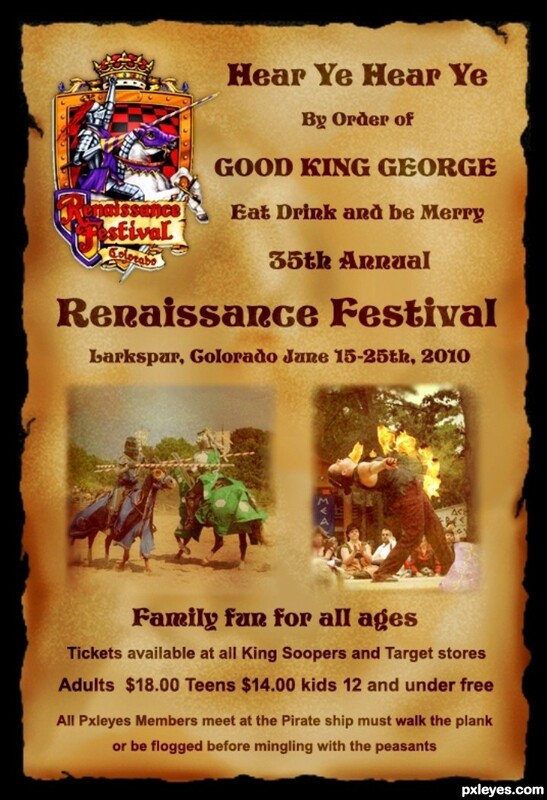 Some of those festivals have a long tradition and other are brand new. 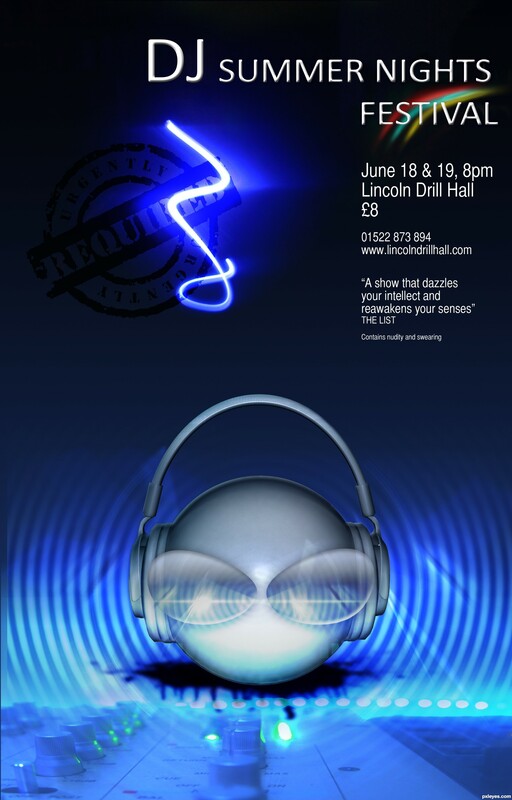 Posters for these can be outrageous in design, very colourful and so on. 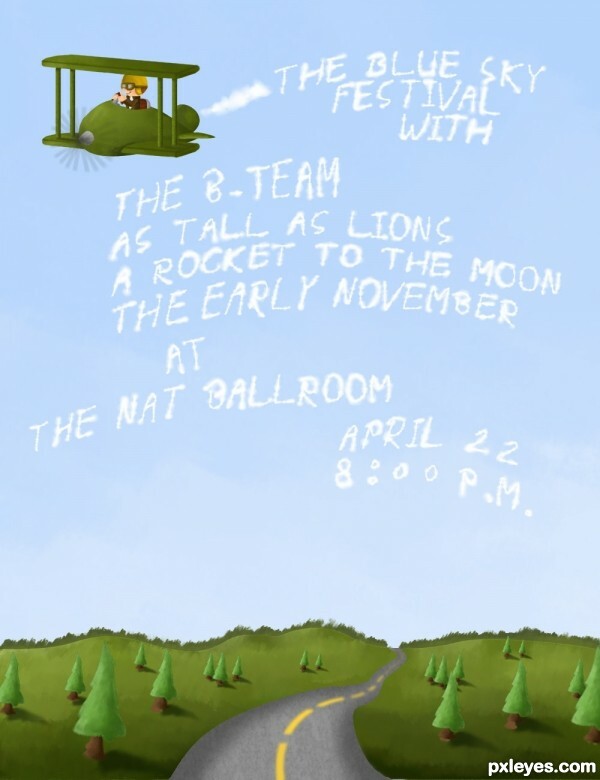 Your goal for this contest is to create a poster for one of those festivals. You can either pick an existing festival or make one up . Some elements to consider to put on your poster: name of the festival, date, place, who will perform,..
Everything in your poster can be imaginary, even the bands or singers. 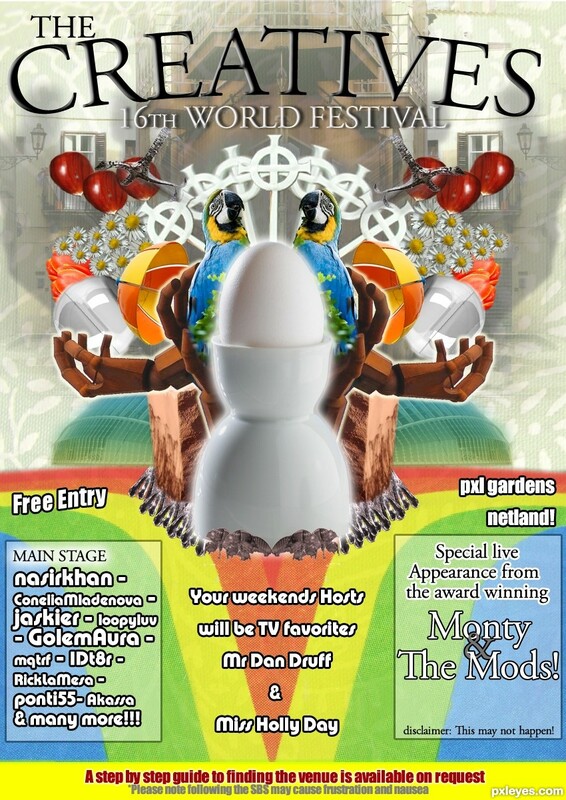 So, use your imagination and create a creative and unique festival poster. I'll show you, how i did the emoticon...work on sbs! Looks like my cousin. (Not a great font up top IMHO but the rest looks good). Wonderful job on this.........great work. Best of luck!! absolutely gorgeous! I love the combination of 2d and 3d..it really helps me think outside the box and use both of the software packages I've learned more efficiently and creatively! Congrats for your first place, Genuine! thx you all...for your comm and grats!!! Note: All bands are real. The Nat Ballroom is not an actual ballroom, its just the name. I think this is awesome. I think the road is just fine BUT if you really feel you need to do something with it, maybe lessen the shadow on the sides so it doesn't look like the road is really thick/high. k5683: what do you think about it now???? Does it look better??? Home » Photoshop Contests » Festival Posters » Polka-Palooza! 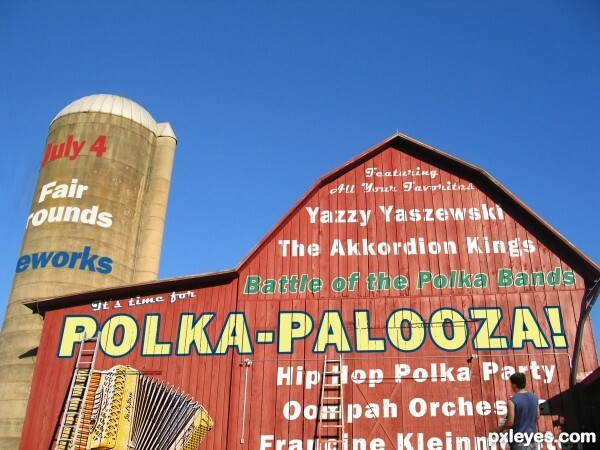 I would so go to a polka-palooza! haha! Well done! Hip Hop Polka????? HAHAHA thats funny..
awesome! i think its convincing and creative. love the idea of putting it along side a barn. 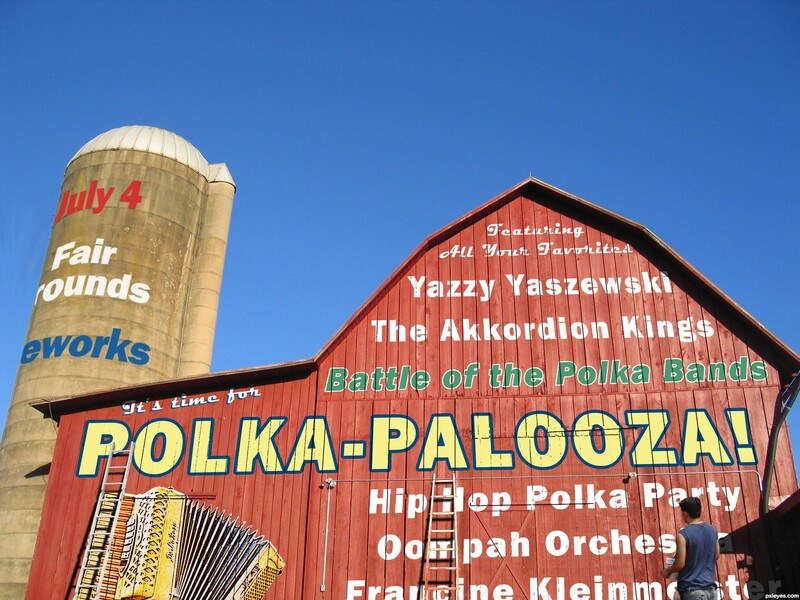 where else would a polka-palooza advertise?? GL! Congrats for your third place, Dan! This festival started in my home town 35 years ago. From there it has grown to what it is today. Nice poster. You could also correct the spelling to "pxleyes". great entry. good luck to you! Fictional design using 17 of the last source images supplied in current and previous contests. Stage line-up is the top 10 ranked photoshoppers on the site. *Note to MODs, didnt think I needed to add specific reference to the source images but will be happy to. great idea! high votes from me !